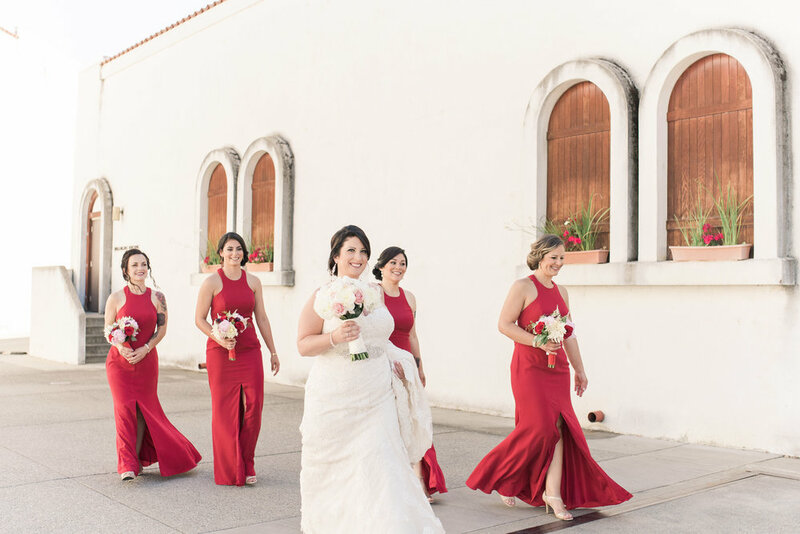 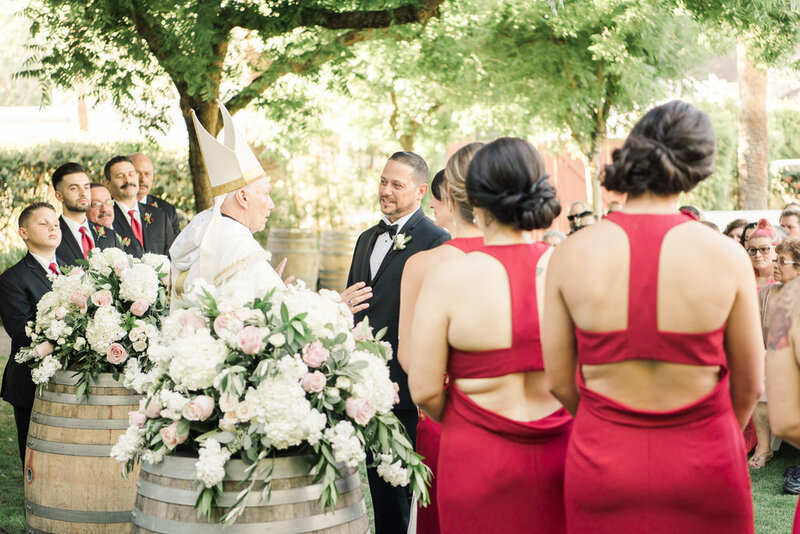 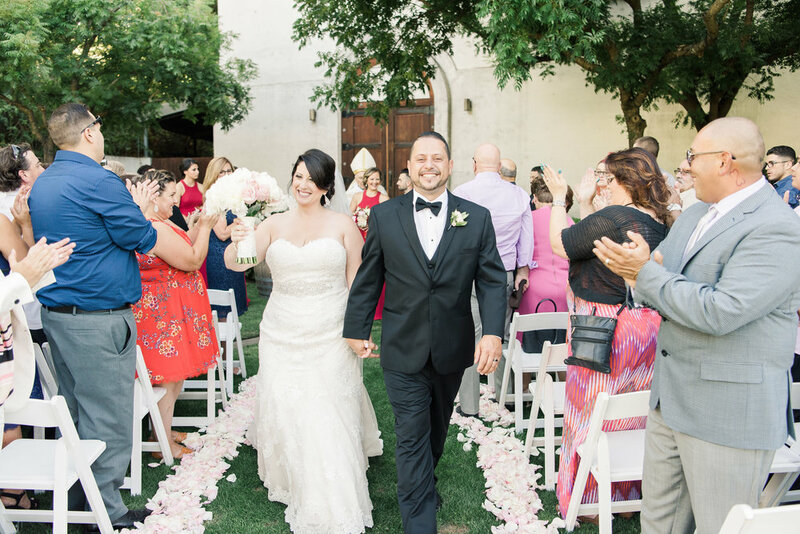 This bold summer wedding held at Wente Vineyards in Livermore California is a new take on the blush pink color trend with scarlet red, burgundy and cream. 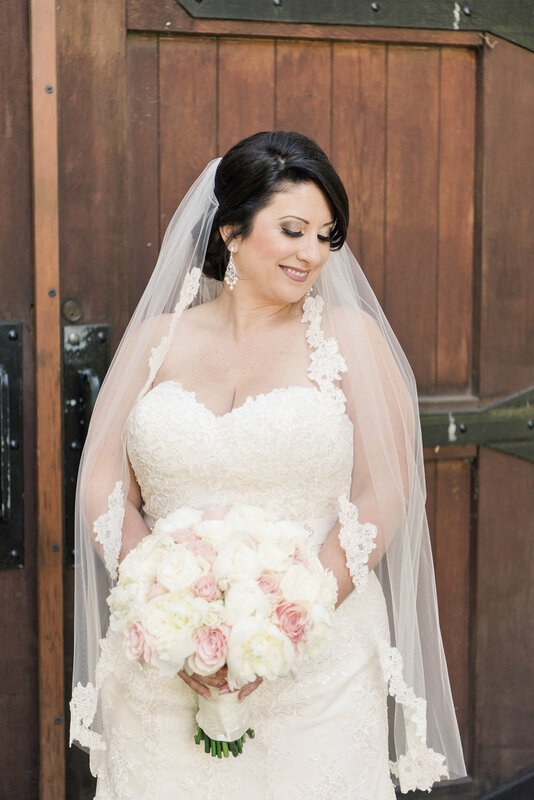 The bride carried a soft and romantic bouquet of peonies and roses, her bridesmaid wore scarlet red dresses and carried bouquets of red roses, black scabiosa, blush astilbe, cafe au latte dahlias and blush peonies. 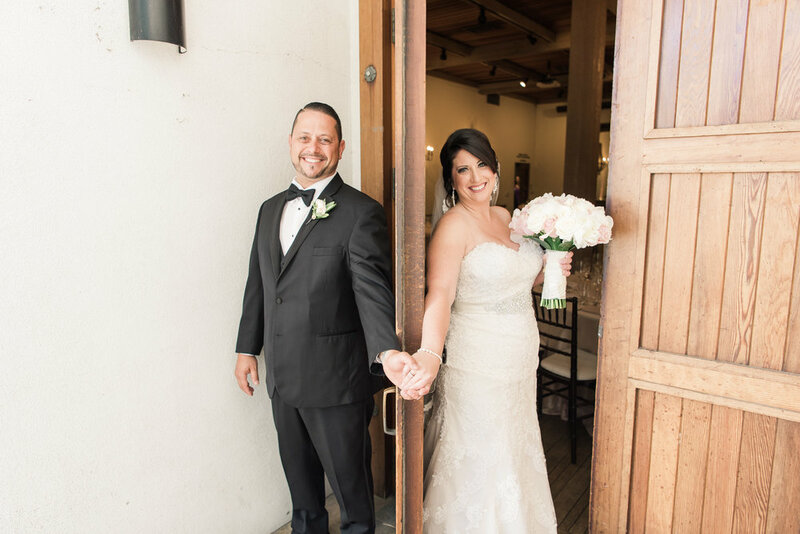 The grooms boutonniere was cream tea roses with bay leaves, seeded eucalyptus and a small personal charm. 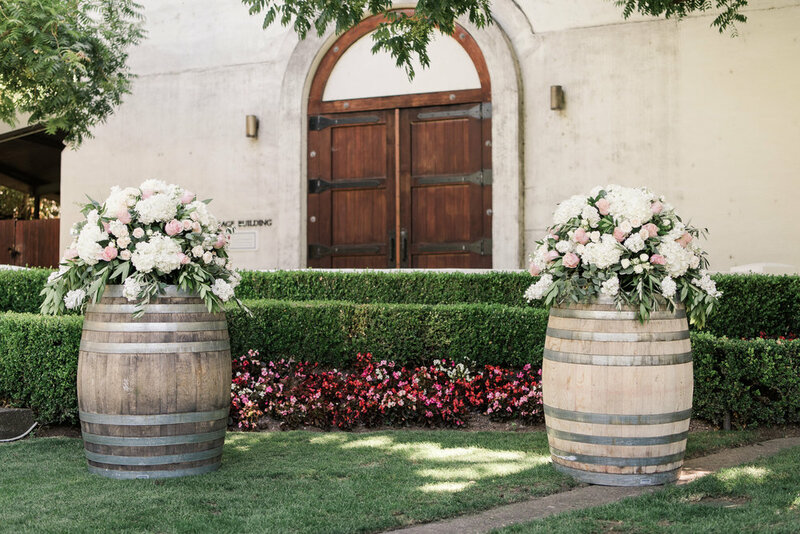 The romantic outdoor ceremony was held on the Terrace lawn with two large wine barrel arrangements flanking the bride and groom at the altar with blush pink and white rose petals lining the aisle. 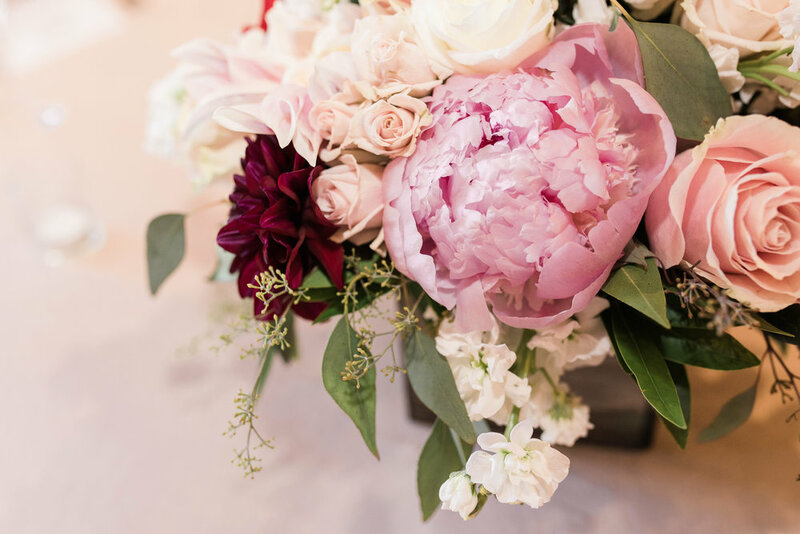 The reception convened in the Cresta Blanca Event Center, the guest tables were adorned with low lush arrangements in grey wood boxes with blush peonies burgundy and cream dahlias, roses, stock, tea roses, seeded eucalyptus, and bay leaves. 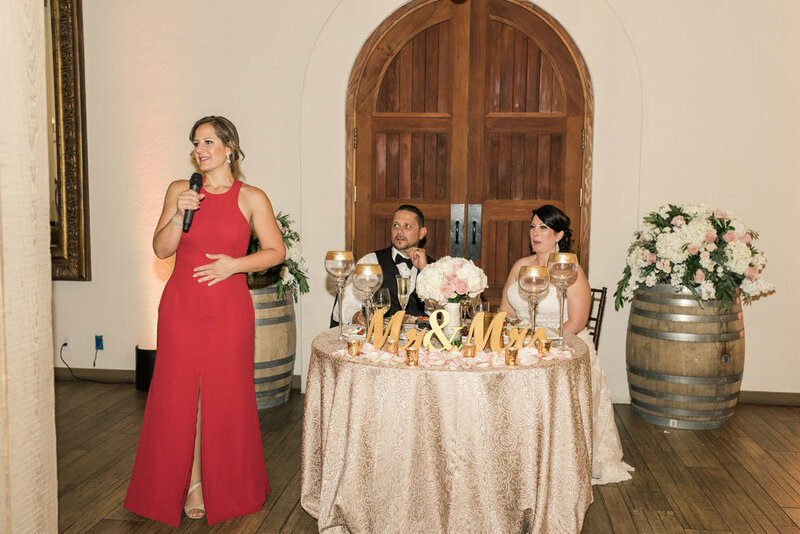 The event was beautifully captured by 1985 Luke Photography.